They say that a camera’s shutter life expectancy is only a guide. 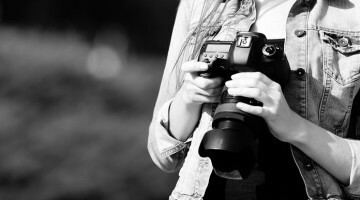 Chances are your shutter will die either long before that expectancy, or long after. At least, that’s been my experience. Most dead shutters I’ve heard of have been nowhere near the life expectancy. And I have a couple of bodies myself that are well over the number Nikon suggest. When YouTuber ContinueCrushingTech had a problem with his Canon 7D Mark II, he decided to test its life expectancy for himself. He had to send it back to Canon for repair anyway, so why not? Canon gives the 7D Mark II a life expectancy of 200,000 actuations. Surprisingly, it was pretty close to that when it died.